Korjaamo markets bring together creative vendours and people interested in art, culture and design. Design Market and Christmas Market both offer inspiring fashion, design, crafts and accessories from tens of vendors. 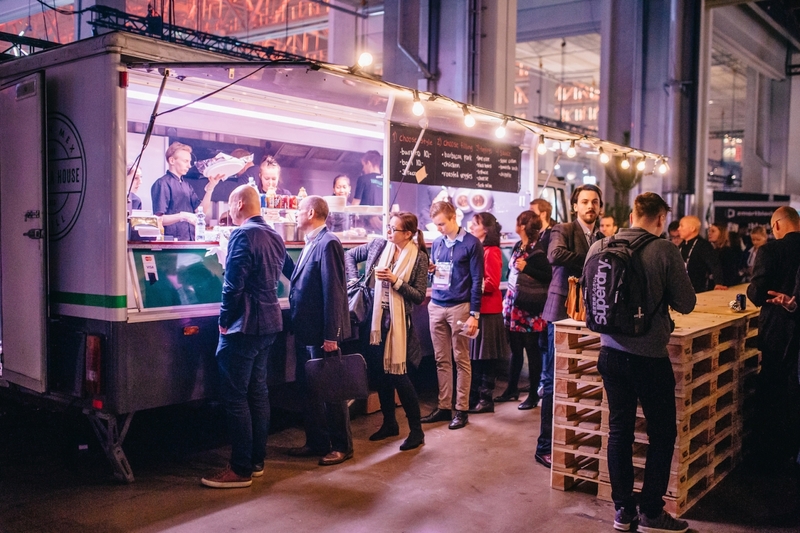 During Europe’s leading startup event Slush there is a lot of buzz about design. Last year’s well-received panel discussion “Why design should be in every company’s DNA”, hosted by Design Forum Finland, will be organized this year under the theme “Design for Growth”. Visitors of Slush will also get a chance to join a special PechaKucha Night focusing on tech and design. Speakers to both events will be published in November. Law lacks usability. Legal work products are poorly designed and inadequate to meet the needs of a modern society. Legal design summit brings together international experts in the fields of law, design and digital services. It is organized in cooperation with service design agency Hellon and business law firm Dottir Attorneys. Did you know that an octopus has three hearts? Thousand and One Creature is a special book the offers the most peculiar informations from the animal kingdom. Laura Merz’s debut children’s book is illustrated using a simplified interpretation that combines the true nature of animals with sharp observation. Writer Aino Järvinen will read excerpts from the book, and the fairytale corner displays original illustrations of Merz. Opera & brunch, what a great combination! Spend a pleasant Sunday afternoon at the Opera with brunch and an opera film. The Opera & Ballet and the Finnish Broadcasting Company (YLE) join forces to provide an opera screening free of charge in Almi Hall. Before the performance, you can enjoy a delicious brunch in the main foyer. The film is a rarity, Giacomo Puccini’s opera Gianni Schicchi. This production, recorded at the Los Angeles Opera is from a production directed by director Woody Allen.